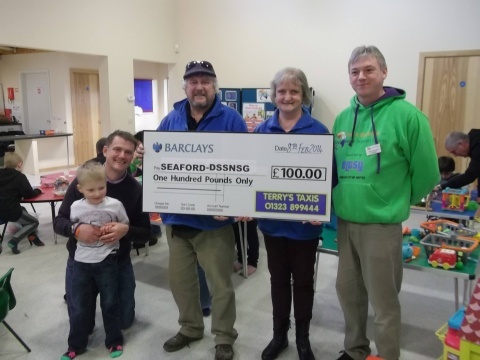 Terry and Jeni Burns from Terry’s Taxis came along to the February 2014 drop-in to present us with a cheque for £100. The donation is an accumulation of tips saved up from generous fares. Other previous luck recipients have been Chailey Heritage School and the Trevor Mann Baby Unit. Thank you Terry and Jeni Burns!